﻿What is 4x4 Unity? 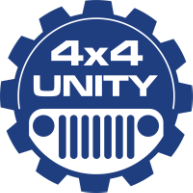 4x4 Unity is a union of 4x4 friendly stores, mechanic shops, restaurants and bars. These establishments have agreed to give their best customer service, best deals and best quality work to the 4x4 community. All this was than put into this 4X4 Unity app. The 4x4 Unity App was made for you, the off-roader to receive information on deals being provided by everyone involved with this app. Allowing you to receive more bang for your you buck. This app can help you find anything and everything dealing with the off-road community in South Florida now and hopefully nationally in the near future. What does the app have and provide? •Some info on 4x4 Unity App. •Direct links to our sponsors websites. •Scratch Card Game & win prizes provided by sponsors. •4x4 Jeep/Off-road Vehicle/ Truck meet ups & events. •Coupons for use at 4x4 Unity's establishments. • Your own personal Loyalty Card for sponsors participating. •Stores that sale & specialize in 4x4 vehicles. •4x4 vehicle automotive off-road specialists. •Off-road parks in Florida and US. •Monthly Scratch Card Game & win prizes provided by sponsors. The best thing is it is FREE!!! !